What's inside the hearts and minds of this talented trio? (part 1). I watched them perform live on stage, and from that moment I became a fan. The first time I saw IV of Spades was during the Wish Music Awards held earlier this month. 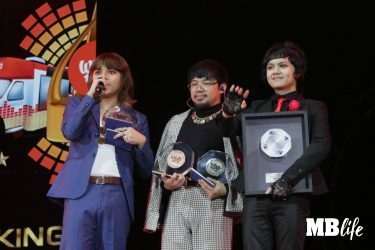 In an event where artists dressed a formal wear, IV of Spades’ unique and strong fashion sense stood out among the rest; thick coloured eye liners, their unusual outfit choice, and their hair styles. Someone who’s unfamiliar would see them as a rock band from the ’80s from an old magazine. But head turners as they are, I dismissed them as just another Emo band. But I was wrong. When they stepped into the stage to claim their plaque for the Diamond Wishclusive Elite Circle Award–while the Araneta Coliseum crowd started to sing their hit song “Mundo” and waved their light sticks to show support–I found myself enjoying the music, even if I didn’t know the lyrics. And when they finally performed, Zild Benitez, Badjao de Castro, and Blaster Silonga transformed into almost unworldy beings. Though physically present on stage, their music seemed to have brought them in another dimension. It’s just them and their music instruments, pouring their emotions and sharing their story through a song they wrote. In that instant, I knew I had just been a fan. 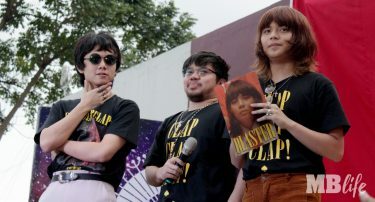 During the launch of their debut album ClapClapClap! Sunday, January 27, I was one of the select members of the press who was given a chance to have an intimate one-on-one interview. Despite our brief encounter, these talented trio graciously allowed me to “come inside” their hearts and minds. Zild Benitez, Badjao De Castro, and Blaster Silonga at the grand launch of their debut album, January 27, Sunday, at the Eton Centris. As per their drummer de Castro, this is a fulfilment of their vision that they used to dream about before. For the youngest member of the group, the 19-year-old guitarist Silonga, it felt like being a mother giving birth to a creation–an album, in this case. Despite their fast rise to stardom, IV of Spades still sees themselves as “a bunch of kids just wanting to share their music” with everyone, and they intend to keep it that way until they turn old and grey. “Yung innocence ng bata pure lahat. Iyon yung ibig naming sabihin. Na kapag gumagawa na kami ng kanta, sinisugurado namin na yung intensyon lang namin ay ang gumawa ng magandang music,” Benitez explained. 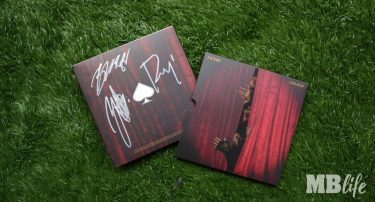 Signed copy of ClapClapClap! album. But don’t be fooled with their innocence. Behind the upbeat sound of their songs, their album that composed of 15 tracts, are their shared personal take on the deep aspects of life: love, mental health, doubt, childlike innocence, and the lost of identity. When asked about their personal favorite out of their new album, they all agreed that it’s “Dulo ng Hangganan.” “Yung recording process niya mahirap, at isa sa pinaka-pinaghirapan namin. 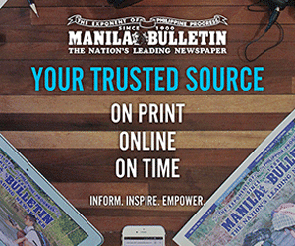 It was supposed to be an easier song pero na push yung boundaries namin na mag-effort, to be more creative,” De Castro said. Was Miss Intercontinental Vietnam inspired by Catriona Gray? Princess Diaries 3 is coming your way!